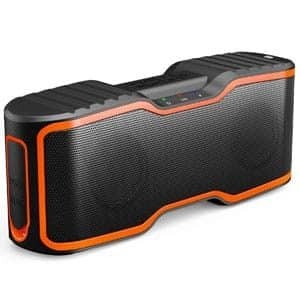 If you need speakers that you can bring with you anywhere you go, then these best portable speakers in 2019 reviews will offer you a selection of products to choose from. We have tested these brands of speakers to guide you further when it comes to shopping for the right item that matches your needs. Aside from the portability, we also looked into the sound quality, ease of use, and overall performance of these speakers. Whether you are an audiophile or just an average person who prefers to listen to good music, a portable speaker is a great companion wherever you may be. This is why it is a sensible idea to choose for speakers that are not only lightweight and compact but also those with a fast connectivity to your device. Wireless portable speakers are convenient to use since these do not rely on a power outlet to operate. They run on batteries so that you may be on the beach, at camp, or any place outdoors, and still get a chance to groove to your favorite hits with these speakers. So, let us get started with our line up of the best portable speakers in 2019 reviews. Find out which among these products work for you based on your preferences. Listen to every nuance of the tones and rhythm you play with this Bluetooth speaker that is light, portable, and durable. The Oontz Angle 3 offers the clearest sound that you want to hear each time you pop in your favorite songs on your device. With distinct and rich highs and mids, you can expect genuine listening pleasure, thanks to the 2 precision acoustic drivers in this speaker. The bass is also free from distortion even if you set the volume to the maximum level. Thus, the entire room is filled with superb quality sound – great for use in your bathroom, kitchen, car, and dorm room. What’s more, the speaker is water-resistant with the IPX5 rating. This means that even with a gentle water splash or spray, the unit remains in good condition. You can use this as an outdoor shower speaker or even set it up at the poolside or the beach, as long as the unit is not fully or partially submerged in water. A little larger in size, as compared to other speakers. Get the most out of your listening experience with this portable Bluetooth speaker. The DOSS Touch gives you an authentic feel of the music you play anywhere you are. Activating the different features and customizing the settings are also mad easier with just a light touch of your fingertips. So, whenever you want to select the tracks to play or adjust the volume, among a few other functions, you can do so with ease. With HD stereo sound, you can count on this speaker to put you in the mood as you lounge around the house, party with friends, go on an invigorating hike, or do your workouts. Connecting to your device is quick and simple. It features the Bluetooth 4.0 technology, which makes the unit compatible with a wide range of devices. The speaker even reconnects to the most recent device you have used, so this spares you from the hassle of going through the connection process all over again. 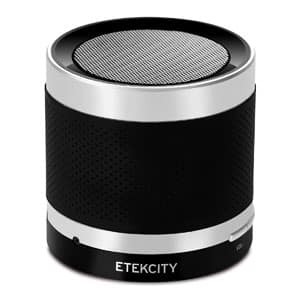 An ever-reliable speaker that will appeal to people on the go, Etekcity RoverBeats T3 comes with a Bluetooth 4.0 chipset for an exceptional performance that you want in audio equipment. It is small and portable, and you can simply place it in the carrying pouch during your travels. To keep it stable, there is an anti-skid mat attached on the bottom part of the speaker. Aside from this component, the speaker also has a protective layer made of silicone with multiple holes to ensure the excellent spread of the sound while preventing slippage. 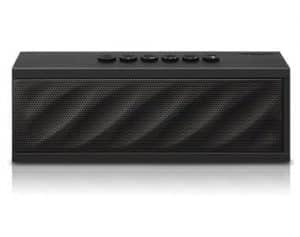 As this is a wireless speaker, you can enjoy a strong connection of the unit with your mobile device that may be 33 feet away. There is also a built-in mic to the speaker, which is ideal when you need to make a phone call while keeping your hands free at the same time. For a highly durable speaker that you can take with you during your trips and when you are out and about, the AOMAIS Sport II is a fine option to consider. It is waterproof with the IPX7 rating, which means it should still be working quite well even when immersed underwater for 1 to 30 minutes. What’s more, this unit is shock-, snow-, rain-, mud-, and dust-proof. It truly is a solid speaker that can handle harsh external conditions. In case you want to take it with you in the pool, you may do so by simply setting it up in the inflatable float accessory that comes in the package. This speaker has a 20-watt powerful audio, which makes sure the quality of sound remains good even when the unit is placed outdoors. It features a wind and noise reduction technology, and this allows you to hear your music perfectly clear no matter how loud it may be outside. Lastly, there is a built-in Li-polymer rechargeable battery included, and you can charge this using the micro USB charging port for your convenience. 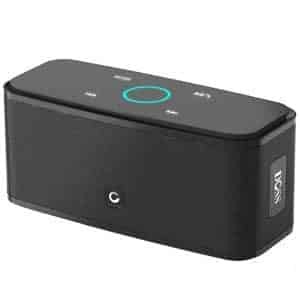 There are so many things to love about this wireless Bluetooth speaker by Anker, which makes it one of the best brands in the market under this category. For instance, the sound quality is superb as this comes with under 1 percent harmonic distortion. This feature gives the unit an enhanced fidelity and clarity as the audio quality remains good even when the volume is turned up to the highest level. Also, it is compatible with devices that are Bluetooth-enabled, so you can connect to the device of your choices such as your tablet or smartphone even if the speaker is about 66 feet away. We like the remarkably long battery life of this device. On a single charge, you can expect to use this speaker for 24 hours nonstop – and this is something that most brands of Bluetooth speakers fail to offer. With a lightweight and compact size, there is no hassle in taking this speaker along with you anytime and anywhere. 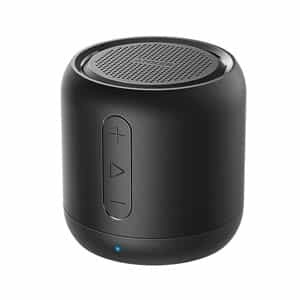 If portability is what you look for, then you can get what you want from these mini Bluetooth speakers. 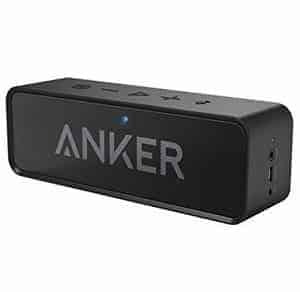 This 5-watt speaker from Anker is very light and easy to carry, yet not lacking in power or performance. In fact, it is capable of providing a robust bass and clear sound through its 5-watt audio driver, along with the passive subwoofer. You will enjoy listening to your favorite hits once you have connected the speaker to your device. For audio options, you can choose from different support types including AUX, FM radio, microSD, or Bluetooth. Pairing with any Bluetooth device is also fast and easy. With a 66-feet transmission rate, this unit may be set up farther from your smartphone, laptop, or tablet, but the quality of sound remains clear. Other features you will like to include hands-free calling, noise-cancelling, and AUX-in jack. Expect a clear and rich sound from this portable and compact speaker that is an excellent companion for anyone who likes to go outdoors. At 11.5 ounces in weight, it should be a breeze taking this speaker along with you. Even with a small size, though, this speaker has 10-watt acoustic drivers with a passive radiator. The result is 30 percent louder volume than other speakers with the same size, along with a richer bass. The passive radiator is also responsible for eliminating distortion even when you hit the maximum volume setting. You can pair this unit with devices that are Bluetooth V2.1 and above, and connecting is done quickly. With a built-in mic, quality audio, and up to 10 hours total playtime; this speaker is a true travel buddy for anyone. 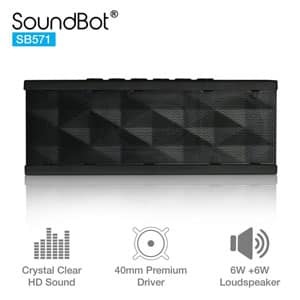 Whenever you feel the need to listen to music anywhere you are, this Bluetooth speaker by SoundBot will not disappoint. This audio equipment offers clear and full bass, thanks to the dual 6-watt HD loudspeakers combined with the 40mm premium quality drivers. Whether you use the speaker indoors or outdoors, the performance remains excellent. Plus, with a built-in 3.5 line-in, it is possible for you to connect this unit to any media device with or without a Bluetooth capability. With the Bluetooth 3.0 connectivity, you can expect seamless and fast streaming, along with a maximum distance range of 33 feet. The battery is also reliable, which gives you a total of 10 hours of playtime. 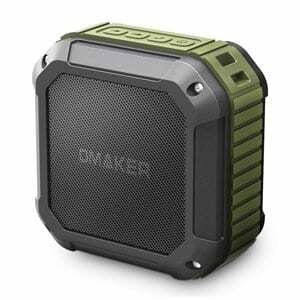 Rated IP54, this portable Bluetooth speaker by Omaker has a rugged and solid design, which makes it shock, dust-, and water-proof. You can use it outdoors, although you should press the rubber cover tightly and dry the speaker well after use in moist or damp conditions. Doing so will promote a longer lifespan for the unit while preventing the USB port from being drenched in water. As for the sound quality, you will be impressed by Watt this speaker can offer because of the 3-watt loudspeaker and passive radiator. Pairing is done in a snap through the Bluetooth 4.0 technology. You can connect your Bluetooth-enabled device to the speaker in just a few seconds. The maximum range in the distance is 33 feet, and the sound quality should remain the same. We like the rugged and durable rubber material for the housing of this speaker, so it is the kind of device that you can take with you to your outdoor adventures. 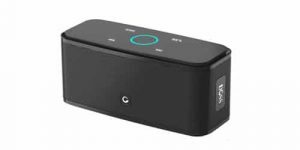 You can even connect the unit wirelessly to a maximum of 3 devices, and the sound quality is powerful enough to fill the entire room. It also comes with an echo- and noise-cancelling speakerphone, so when it is time to make a phone call, the audio remains clear and crisp. This unit has a built-in Li-ion rechargeable battery. On a single charge, this should offer you with 10 hours total playtime. 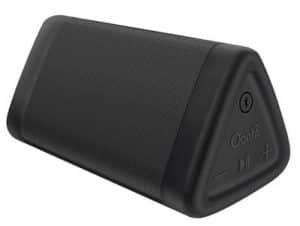 With a solid build, superior audio performance, and long battery life, this product is indeed a must-have for those in search of a portable speaker with Bluetooth capabilities. 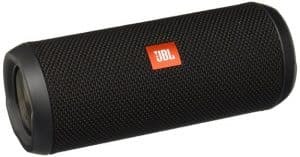 These best portable speakers in 2019 reviews should give you insights on the top 10 products in the market worth looking into for your needs. We hope that we have helped you in making a selection for the finest speakers with lightweight and compact build, so you can be confident about your purchase and get the best value for your dollar.